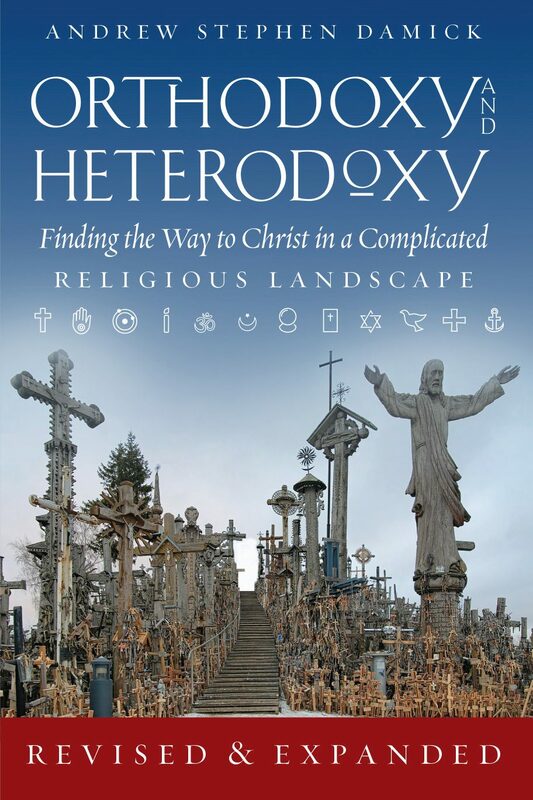 The following two excerpts are from the revised text of Orthodoxy and Heterodoxy: Finding the Way to Christ in a Complicated Religious Landscape, which is due for publication by Ancient Faith Publishing in December 2016 (see the full Table of Contents here). The chapter on Pentecostalism from which these sections are drawn is completely new for this edition. The “Parham” mentioned in the first paragraph is Charles Fox Parham, generally regarded as the founder of Pentecostalism and the teacher of William Seymour, whose Azusa Street Revival in Los Angeles touched off the movement on April 9, 1906, whose 110th anniversary just passed. You can also listen to the Orthodoxy and Heterodoxy podcast which includes this information and a lot more. The sections on Pentecostalism are currently in progress. There’s more to come! A close examination of the testimonies of Parham and two other students who kept diaries of their own suggests that the traditional story of multiple, simultaneous independent experiences of tongue-speaking was not what actually happened. Parham himself had probably believed for some time that speaking in tongues was evidence of the Baptism of the Spirit, and accounts of other eyewitnesses to the events around the turn of that new year strongly suggest that it was an experience passed on from one student to another rather than something that happened independently. One student, Howard Stanley, bore witness to this: “Agnes Ozman was the one that made clear to me that when we were filled with the Holy Spirit that we would speak in other tongues.” In other words, they learned this from each other (Robert Mapes Anderson, Vision of the Disinherited: The Making of American Pentecostalism, 52-57). Parham claimed an ecstatic experience of speaking Swedish, while Agnes Ozman both spoke and wrote in Chinese and other languages after Parham laid hands on her. Stanley wrote that he saw “clovend tonges as of fire (sic)” come into the meeting room, descending and enabling him to speak another language, something he saw others doing, as well. Those assembled all sang “Jesus, Lover of My Soul” in at least six different languages while surrounded by a miraculous glow of white light. Parham’s telling of the story is very much reminiscent of the narrative in Acts 2. It was January 3, 1901. Their Second Pentecost had come. And the defection of one of their members a week later, S. J. Higgins, who told a local newspaper that the school was “a fake,” introduced the movement to the press. Soon, reporters arrived from Kansas City, St. Louis, Cincinnati, and other cities, all writing about the curious religious movement near Topeka. One article even included a transcript of the tongue-speaking of Parham’s sister-in-law Lillian Thistlethwaite. With the public eye on the “Parham School of Tongues,” despite some initial setbacks, the movement began planning campaigns across the country. It’s not precisely clear how this works in Acts 2. Are the apostles actually speaking in foreign languages? Or are they speaking and the miracle is in the hearing of those present—an effect like Star Trek’s Universal Translator, where technology enables multiple species to converse while speaking and hearing in their own language? It may be reasonable to interpret the apostles’ miracle as speaking foreign languages, rather than the miracle being in the hearing. In any event, this is what the first Pentecostals—who referred to themselves as the Apostolic Faith Movement—were claiming, that at their Second Pentecost they were given the gift identical to the one given to the apostles at the first Pentecost. And its purpose was the same as the apostles’—evangelism. Missionaries were soon sent, dispatched to places such as Japan, China, and India. At the time, the more mainstream Bible Missionary Society investigated eighteen Pentecostal missionaries to see how they were faring. Not one of them reported being able to communicate successfully with those to whom they were sent. Tongue-speaking evangelism wasn’t working. But the demoralizing failure of tongue-speaking as an evangelistic gift did not effectively debunk the claims of Pentecostals. Instead, the movement soon changed its theology of the nature of tongues. Speaking in tongues was now understood as glossolalia, an ecstatic utterance of prayer while being possessed by divine power. Xenoglossia was still admitted as a spontaneous gift, but no longer was speaking foreign languages at will identified with the gift of tongues. Glossolalia had been admitted prior to this change, especially paired with the gift of interpretation of tongues (an explanation in common language), but it had not been the standard theology for tongue-speaking. Very quickly, however, glossolalia became the standard theology, and it persisted in the decades that followed. The initial emphasis on foreign languages for the purpose of evangelism—which had been the dominant understanding at first—was essentially swept under the rug as the belief of a few misguided, exceptional individuals. Such a shift was probably inevitable, as it was only a matter of time before the gift would actually be tested on real foreigners. Yet while the movement now associates glossolalia with the original apostolic Pentecost, the narrative in Acts 2 instead shows xenoglossia. Thank you for this post, Fr. Andrew. I grew up charismatic and stayed that way through college. At first, it was quite difficult for me to let go when I came into Orthodoxy. I find your research interesting and began doing some of my own as well last year. In my youth, I remember hearing pastors remark, “That sounded like Hebrew,” other times it was Greek or Chinese. But if any of that was proved false, then suddenly it was a “private prayer language” to God. The research by the linguist and anthropologist Dr. Felicitas Goodman on this topic was beneficial to me. Perhaps the most eye-opening discovery in her book was that nobody speaking in tongues used sounds outside of their normal native language. If one truly is speaking xenoglossia or glossolalia, then they should be expected to use foreign sounds in their speech. It pains me to see Orthodox converts still holding to their charismatic background. I don’t know what direction you take in your book with your research, but I hope it encourages the faithful not to mix Orthodoxy and Pentacostalism. I look forward to reading the new edition when it is released. Perhaps the most eye-opening discovery in her book was that nobody speaking in tongues used sounds outside of their normal native language. Yes, that’s a point I make myself elsewhere in this chapter. I haven’t done any actual controlled research on the topic, but I’ve certainly noticed this anecdotally. So it’s helpful for me to know that someone has actually checked and confirmed what I suspected! And no, I’m certainly not encouraging syncretism of any sort. If she said that noone speaks in tongues using sounds outside their normal foreign language, that is the kind of thing PhD’s should be trained not to write. She should be talking about her sample, not the entire population. How could she know if it is representative? I have witnessed people speaking in tongues using phonetic sounds that are not from their own native language, btw. I also know people who have heard ‘speaking in tongues’ in languages they recognized, but the speaker did not know, or who have spoken in tongues and speakers recognized the language. I have never experienced that myself. Years ago in Brazil, I meet an older man at a Cadomble assembly (the Yoruba religion in the area of Sao Paulo). He confided in me that the deity had given him the ability to speak over sixty languages, one of them “American Indian”. This to me was clearly a case of glossolalia and that the man actually believed his utterances were in a foreign language. True glossolalia usually entails belief that it is a gift of the Spirit, and that the gift is the ability to speak foreign languages. I personally read twelve foreign languages and speak six – each acquired by hard work and the exercise of memory. I have yet to experience or observe xenoglossia. Thank you so much for posting this and for your podcasting for showing these facts about Pentecostalism and speaking in tongues. Too often, very sincere people are falling for the modern expressions of tongues being a special prayer language and are not investigating the history of how this all came about. I grew up in a black Baptist church that rejected this doctrine. Now, there are plenty of well educated ministers who have accepted this teaching. Years ago, when I was a young fellow, there was a traveling brother who was totally obsessed with tongues of fire. The poor fellow pretty much interpreted every other verse in the bible as affirming his obsession. Many years later I would meet a lady in her 20s who was a little too intense over spirits etc, for her own good. It really ruined her life. One wonders if it was simply a neurosis on her part and spiritual things were just the conceptual environment that orbited her mental condition. Paul does say that one may be speaking a tongue that is “ouk anthrōpois” – “not of man”, or “not to man”, and in such case, that one is speaking to God. I would anticipate that is also what Paul means when he says such a tongue is for the edification of the believer. He seems to differentiate tongues from prophesy in terms of who it edifies. A tongue that others cannot understand would not edify. And yet, in Acts 2, there seem to be clear indicators, the tongues in that case are human languages. Do you believe there is any such gift as glossolalia (not xenoglossolalia) that is (at least potentially) active within the Church? I honestly don’t know. If there is, it’s certainly pretty muted. What is exhibited in Acts 2 certainly is xenoglossolalia. From that passage it doesn’t seem to meant to give prolonged speech, but short and to the point. I’ve witnessed that myself years ago, but have heard nothing in recent years. It was back in the early 70s I heard a woman that spoke not a word of German, had no German relatives or friends, yet while under the influence of the Holy Spirit spoke two clear sentences, with perfect grammar, that resulted in the conversion of a German couple that had visited the Church on a lark while traveling in the US. Having lived in Germany for 6 years, I was proficient in the language, and knew the woman that spoke that night. After service was concluded I spoke with the couple allowing me to learn what led them to the Church that night, and what had happened in their hearing. It has been so many years ago, I can’t remember what the message was, just remember the result. My understanding of the gift is that it is not for general use, but as a sign to the unbeliever. The passage that is often called “The Charismatic Manifesto) is 1 Corinthians chapters 12-14. I see nothing in there that the gift is of prime importance to the Church, particularly when Paul says that Prophecy is the better gift, and that love is far more important. I was raised in The Church of God, Cleveland, TN, and the incident I relate above took place in one of its congregations. Xenoglossalalia is still physically generated by the neural paths configured by one’s native language and would therefore be naturally constrained by them. With natural languages most native French speakers only speak English with a very strong French accent. There is no reason to expect any difference for glossalalia. From the earliest days of the Pentecostal Movement the standard argument against the practice of speaking in tongues put forth by Baptists and other Evangelical churches was that the charism of speaking in tongues was based upon the event of Pentecost and therefore all speaking in tongues must be in a recognizable human language spoken somewhere upon planet earth. However, it is clear that there is no other record of this manifestation ever taking place again in the pages of the New Testament. It is also clear that what took place among the Corinthian Christians, in the practice of speaking in tongues, was NOT the same gift that transpired on the Day of Pentecost. Nonetheless, the Apostle Paul does not condemn the gift of speaking in tongues exercised by the Corinthians, rather he corrects the way in which it is used and the attitude of the speakers. It is exegetically impossible to link the two events, speaking in tongues on the Day of Pentecost, with the speaking in tongues at Corinth. The only two things that links them together is that they are both manifestations of the Holy Spirit and they were both practiced by baptized Christian believers. I find it highly offensive when Orthodox Christian, who for the most part know not one wit about Pentecostal-Charismatic theology or practice, label “tongues-speaking” as “foolish gibberish”. It strikes me as odd that the Apostle Paul, himself would “boast” about the fact that he spoke in tongues “more than all” the Corinthian Christians, that he would state that giving thanks in tongues is prayer well said, and that those who pray in tongues should not cease but rather exercise it quietly and that the Corinthian elders should “not forbid speaking in tongues”, is appealed to as the one who condemns speaking in tongues. Never once does he say that the practice is “demonic” as some Baptists, Evangelicals and not a few Orthodox would claim, neither is it “gibberish” or some psychological manipulation or fleshly manifestation. Rather, while not the greatest of the gifts, this place is held by prophecy, nonetheless was a seemly common and ordinary gift in the Apostolic times. Like Fr. Thomas Hopko, of blessed memory, in his Ancient Faith Radio podcast “Speaking the Truth in Love”, episode entitled, “The Gift, the Gifts and Glossolalia” it appears that this charisma of the Spirit has been renewed among Christians over the last one hundred years and is manifest among Orthodox, Catholic and Protestant Christians. It is no longer just the property of the Pentecostals. The clear emphasis in the early days of Pentecostalism was that tongue-speaking really was xenoglossia — that is, Pentecostals thought they were speaking foreign languages and tried to use that ability to do evangelism. That’s what this brief piece is about. Glossolalia as the primary focus for tongue-speaking comes later after it’s clear that xenoglossia isn’t working. Whether glossolalia is “real,” etc., is not what this piece is about. One of the habits one picks up in Protestant churches, is comparing what church leaders teach with scripture, and with the subjective feelings of good conscience that one takes to be the witness of the Holy Spirit within. I.e. never treat any (purported) prophecy with contempt, but rather to test everything, and to hold onto the good (discarding the rest). This is part of what attracts Christians with Protestant backgrounds to Orthodoxy. Christians whose Protestant churches are succumbing to heresies, recognise in Orthodoxy the same Berean virtue that has abandoned many of the many Protestant churches. One of the truths of scripture I keep coming back to is the one that Fr Creemens points out. That the writing of Paul to the Corinthians and those of Luke to Theophilus in Acts, complement one another, and describe a range of manifestations of the Holy Spirit, including both xenoglossia and glossolalia. Certain doctrinaire elements in Protestantism go beyond what scripture teaches. Protestantism contains Pentecostalist schools, and what are called Cessationist schools. Both exceed the authority that scripture gives, the Spirit of Truth-led good and educated Christian conscience and the testimony of the saints and church leaders throughout church history . Paul teaches that all Christians are baptised with one Spirit, and given one Spirit to drink. Pentecostalists sometimes seem to be teaching that only certain Christians are baptised in the Holy Spirit. Cessationists believe that the end came many centuries ago of the age of miracles, and of manifestations of the Holy Spirit as taught by Paul in 1 Corinthians 12-14. Orthodoxy is the custodian of a great legacy of testimony that negates Cessationism. My usual take on tongues is that I don’t believe in it or not believe in it. I’ve known people who did it that I don’t think would fake it. But, I’ve known other people who did it that there was no doubt they were faking it. I remember hearing one pastor doing it, and realizing that he was speaking high school Spanish but it wasn’t saying anything – it really was just gibberish. I have heard or read four or five accounts of people at the Azusa Street revival speaking in tongues, and someone from the international community coming into the meeting and recognizing the language as their own. AG Garr experienced this with Bengali (don’t know if that occurred at Azusa or not), but he couldn’t make his speaking in tongues be Bengali when he went to India. He did not have control over what language was spoken.